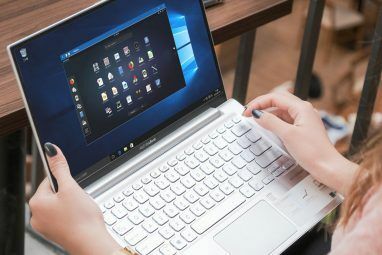 While Linux has many things that put it ahead of Windows Is Linux Finally Good Enough to Replace Windows? Is Linux Finally Good Enough to Replace Windows? Recent figures show that Linux desktop usage has reached 2%, it's highest yet. Does this mean Linux has reached a point where it can replace Windows and Mac OS X for the average user? Read More , it does lack one thing out of the box: easy emoji input Type Emojis the Easy Way on Windows 10 With the Emoji Panel Type Emojis the Easy Way on Windows 10 With the Emoji Panel Did you know that Windows 10 now has an emoji panel that lets you insert the perfect emoji at any time? Here's how to use it, and disable if you hate it. Read More . Luckily, there are plenty of ways to fix that. Just pick and choose the one you like best! Follow what works best for you, and you’ll be able to type out emojis in no time. On Windows, the emoji panel is triggered by a keystroke, and used with a mouse click. If you prefer to type them out for easy use, then there’s a very easy solution on Linux. It combines software to let you type in foreign languages How to Write With Any Language in Linux How to Write With Any Language in Linux When it comes to typing text in languages other than English, input method editors, or IMEs, allow Linux users to input text and commands in their native language. Read More , with an input method that gives it the ability to type in emojis. This is called UniEmoji (for a specific input framework called IBus). When everything is set up, you should be able to type whatever emoji you like, either by inputting them, or searching. This can be much faster and easier than something like a popup window, but takes a little more setting up. Firstly, you need to make sure you have a program called IBus installed. It lets you type in different languages, even if your keyboard isn’t designed for it. By default, it comes with Linux operating systems that run the GNOME desktop GNOME Explained: A Look at One of Linux's Most Popular Desktops GNOME Explained: A Look at One of Linux's Most Popular Desktops You're interested in Linux, and you've come across "GNOME", an acronym for GNU Network Object Model Environment. GNOME is one of the most popular open source interfaces, but what does that mean? Read More , such as the latest version of Ubuntu. If that’s not the case, this command will install it. The first line is only needed if the second line doesn’t work. That is to say, if APT How to Use APT and Say Goodbye to APT-GET in Debian and Ubuntu How to Use APT and Say Goodbye to APT-GET in Debian and Ubuntu Linux is in a state of permanent evolution; major changes are sometimes easily missed. While some enhancements can be surprising, some simply make sense: check out these apt-get changes and see what you think. Read More can’t find the package you’re looking for. Once you’ve done this, you’ll need to do some extra setup to make things work properly. After installing a language, IBus needs to add it as an active input method. In this case, you’ll need to add UniEmoji first. From there, go to Region & Language > Input Sources. You should see an option to add new sources (the plus button). Select this, and click on the More button (the stack of three squares at the bottom). From here, click on Other > Other (uniemoji). You should be able to select this by double clicking, or selecting the Add button. This should create an icon in your system tray. Right click on it, and select the Preferences button. You’ll be presented with a window to configure IBus with. From there, select Input Method > Add. The steps to find the UniEmoji option are the same as GNOME’s: Other > Other (uniemoji). You’ll know if the steps worked or not if you can click on the IBus tray icon. UniEmoji should be an option for you to select. By default, you can also switch to it by pressing the Super + Space keys. Once you’re done, you should be able to type whatever emoji you wish, either by searching for it, or typing in the equivalent symbol. If you’d prefer to select your emojis by mouse, there’s an easy solution called Emoji Keyboard. It resides in your system tray as a panel you can show and hide, which provides you with a way to copy or insert 6 Tools to Manage Your Linux Clipboard 6 Tools to Manage Your Linux Clipboard Clipboard Managers will save you a ton of hassle and headaches - you won't want to go another day without using one. We've tested six clipboard management tools to help Turbo Charge your clipboard. Read More the emoji of your choice. From here, you should be able to launch the program from your application menu (or from the terminal using the command emoji-keyboard). This should create an icon in your system tray. You can click on this, to bring up a set of options, including settings to adjust its behavior, and a virtual keyboard to enter emojis. 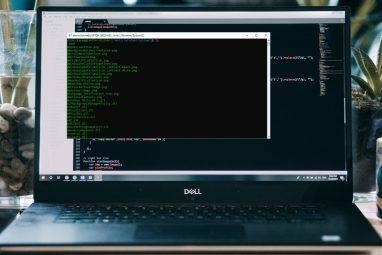 On future reboots 5 Ways to Shut Down Your Linux Computer From the Command Line 5 Ways to Shut Down Your Linux Computer From the Command Line No operating system is perfect. Linux is no exception, and you'll need to restart at some point. But how? There are several shutdown commands available to Linux users. Read More , you shouldn’t have to worry about manually starting the program. By default, it will run on startup. 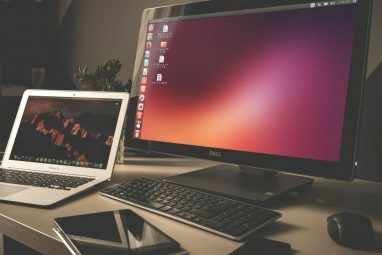 If you’re using the GNOME desktop Stick With Ubuntu: GNOME Feels Surprisingly Just Like Unity Stick With Ubuntu: GNOME Feels Surprisingly Just Like Unity Ubuntu has abandoned Unity in favor of a new spin on the GNOME 3 desktop. But is it really all that different from Unity? Here's why you shouldn't really be thinking about quitting Ubuntu. Read More , you have a few extra ways to input emojis, which you might prefer. They’re a little more integrated into the environment, so they’re worth looking at. The first option comes as a GNOME Shell extension 8 GNOME Shell Extensions that Improve the Interface 8 GNOME Shell Extensions that Improve the Interface After using GNOME for a while, you may wish to change a few things about the overview mode, or even tweak the panel. These eight extensions help you do just that! Read More , which acts like a system tray icon. Once installed, all you need to do to is click on it, to bring up a panel of emojis to select things from. Another plus about this solution is that it’s all you need to do — there’s no fiddling with other required programs and the like. The easiest way to install this extension is to open up GNOME’s default browser 5 Reasons to Start Using GNOME Epiphany Web Apps 5 Reasons to Start Using GNOME Epiphany Web Apps The GNOME Web browser ("Epiphany") can integrate web apps to your desktop. Here's how to make your own web apps in Linux. Read More and to visit the extension’s page. There should be a button that allows you to install Emoji Selector. After being extra confirmation, you’ll find the app in your system tray. Having done this, you can click on the icon it provides to bring up a selection of emojis. By default, it’s also possible to bring up this panel using the Super + E shortcut. You also have the option to search for them, if you like. Selecting one copies it to your clipboard — you still need to paste it to see the result. This final emoji input method is actually written by GNOME developers. It’s a bit like the Windows character map 10 Simple But Useful Ways To Use The Character Map & Your Lesser-Used Fonts 10 Simple But Useful Ways To Use The Character Map & Your Lesser-Used Fonts Read More , but geared towards special glyphs (specifically emojis). Installing it is quite simple: all you need to do is enter these commands. Once you’ve done this, you should find a program called Characters in your application list. On start up, you’ll be greeted with a list of different emoticons to choose from. Clicking on one of them will bring up a menu, which shows its Unicode translation NiceEntity: Get HTML and Unicode for Symbols & Characters NiceEntity: Get HTML and Unicode for Symbols & Characters Read More , and a button to copy it for later use. If you like, you can even set up a keyboard shortcut 10 Useful Ubuntu Keyboard Shortcuts That You Might Not Know 10 Useful Ubuntu Keyboard Shortcuts That You Might Not Know Read More to launch this on command. All you need to do is attach the keystroke of your liking to the program gnome-characters. There are many ways of going about doing something on Linux. This includes your choice of desktop environment Which Linux Desktop Environment Best Suits Your Personality? Which Linux Desktop Environment Best Suits Your Personality? What kind of computer user are you? Do you leave icons scattered across your desktop? Do you prefer to work in one uncluttered application? Let's find out which Linux desktop environment suits you best. Read More , to the file manager Which Linux File Browser Is More Productive: Nautilus or Dolphin? Which Linux File Browser Is More Productive: Nautilus or Dolphin? Wsers of competing desktop environments will notice that they're using different file managers -- an important part of desktop productivity. Surprisingly, there are a lot of things that can go right or wrong with a... Read More you use, and even, as shown, your means of inserting emojis. They all have their pros and cons, but the nice thing is you get to choose which ones you’ll have. How will you end up typing out your emojis? Will you even consider it? 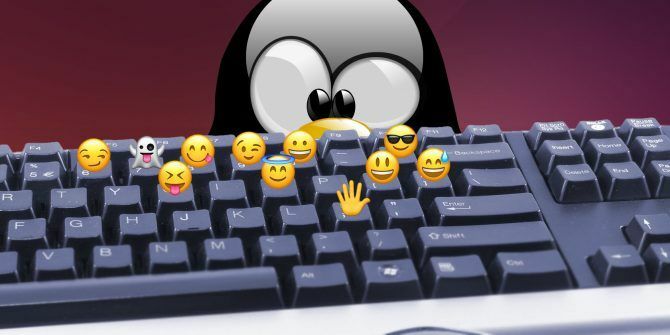 Explore more about: Emojis, Linux.